This website has already drawn connections between Castile’s shooting by Yanez and the discourse around Peter Liang, the New York City Chinese American police officer convicted of Akai Gurley’s wrongful death. I, however, want to reference another case: one that occurred in St. Paul’s twin city of Minneapolis a bit earlier, and which may seem, at first, to be unrelated to Castile’s shooting. In 2003, Officer Duy Ngo was working undercover when a suspect drew a gun and shot at him before fleeing. Ngo radioed for backup while prostrate on the ground. When Officer Charles Storlie arrived, he mistook the Vietnamese American Ngo for the shooter and fired several more bullets into him. Public opinion initially pointed the finger at Ngo, claiming that he, an army reservist, had intentionally wounded himself in order to avoid deployment to Iraq. In the end, the city settled with Ngo for $4.5 million. The incident invoked a familiar and damning narrative from the Vietnam War that condemned Southeast Asian men to being perceived as indistinguishably friend or foe. This myth followed Southeast Asian refugees as they resettled in the United States, justifying their criminalization at the same time that it celebrated their assimilative aspirations. In a slightly different time and in a slightly different place, Yanez – who was mistaken at least in this instance as Asian American –might have been on the receiving end of a police officer’s bullet. 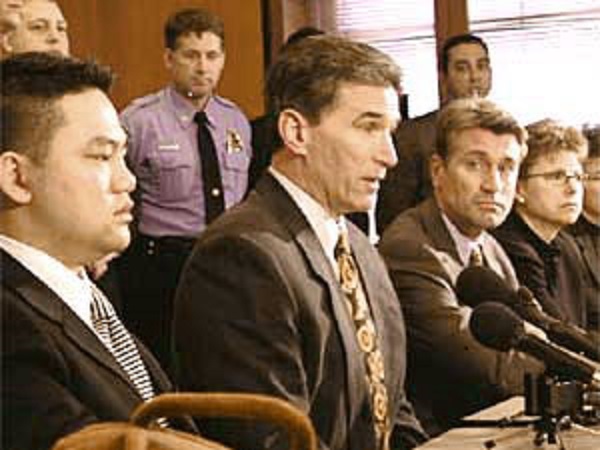 Because of the predominance of Southeast Asians in the Twin Cities, they are one of the few places in the United States where the specter of lawlessness continues to dog Asian men, and those who appear to phenotypically resemble them. Each of my own experiences with the fear of being the subject of a police officer’s gaze in the Twin Cities begin with a late night trip to a 24-hour fast food joint on University Avenue. This thoroughfare connects St. Paul to Minneapolis and runs along a neighborhood called Frogtown, which is home to many Southeast Asian families. Because of the area’s reputation for gang activity, University Avenue also teems with the constant presence of police cruisers. Whenever one pulled up beside me during a run to White Castle, my hackles raised as I saw from the corners of my eyes the officer inspecting me. I’ve always been gender-ambiguous, but in my younger years and dressed in informal clothing, I was more often read as male than as female. It did not matter that I am, in fact, East Asian American. It did not matter that all of my identifying information listed me as female. All that the police saw was a young, man of color behind the wheel in a neighborhood where people who resemble me are regarded with suspicion. It did matter that the address on my driver’s license placed me outside of Frogtown. It did matter that I carried a faculty ID issued by an elite college. It did matter that I was probably more afraid of the teenagers who raced their cars on University Avenue in those early hours of the morning than I was of the police who looked me up and down. That distance—geographic, economic, and affiliative—made all the difference between my fear of state authority and the fear that others might feel – a fear that is far less easily discarded. The mattering of Black lives for non-Black people of color in Minnesota’s Twin Cities extends beyond merely the question of allyship. Black lives matter in Minnesota, and around the country, to non-Black people of color, because we are also actors upon this country’s racial stage; but what role will we play? After multiple surgeries and extensive physical therapy, Duy Ngo died of a self-inflicted gunshot wound on June 7, 2010. 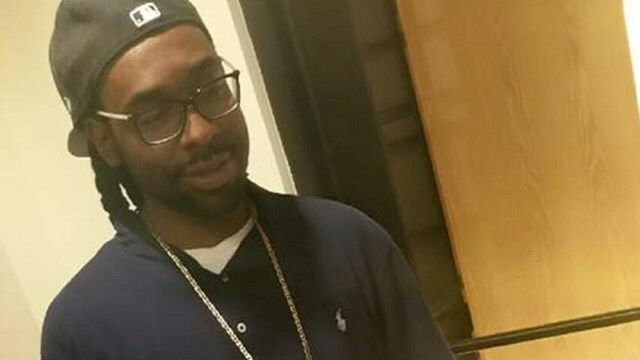 Ngo died slightly more than seven years after he was shot by Storlie, and in the intervening years, he had fallen subject of multiple investigations alleging his own use of excessive force against civilians living in the Twin Cities. Days before his death, Ngo faced accusations that he had beaten and broken the wrist of a woman whom he had falsely arrested in an off-duty encounter. Regarding his self-inflicted death, those close to Ngo cited post-traumatic stress disorder and chronic pain from his disability as causal factors. At the same time, we can’t ignore the fact that Ngo’s suicide occurred a few hours before he was scheduled for cross-examination in the trial stemming from his own alleged use of excessive force. Ngo was simultaneously a victim of excessive and racialized violence by his law enforcement colleagues and a possible perpetrator of the same. One can only imagine how untenable that tension was for him. 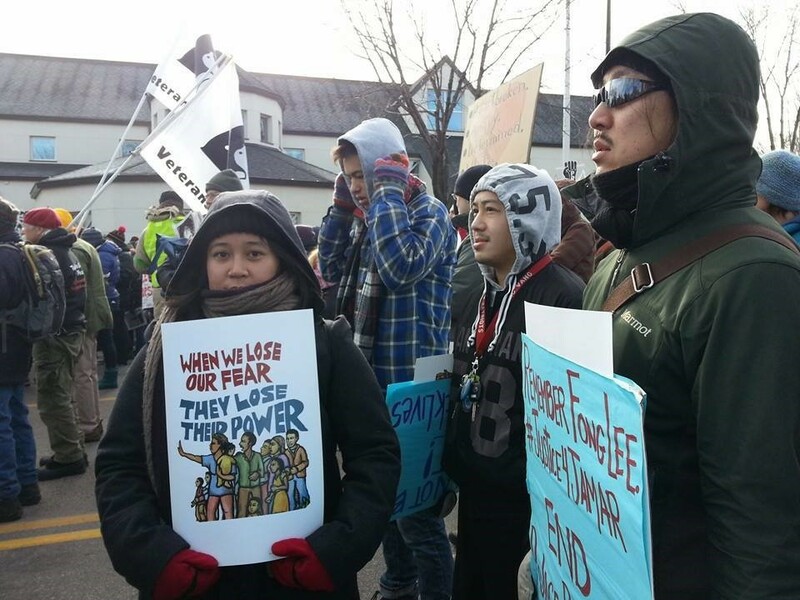 The criminalization of Asian Americans in areas with large Southeast Asian populations means that in the Twin Cities, the Black Lives Matter movement, which challenges police abuse, is directly relevant to the viability of Asian lives as well. At the same time, non-Black people of color who are part of the policing apparatus must also be held accountable for their complicity in structures of anti-blackness. What Jeronimo Yanez and Duy Ngo both show is that we can’t have it both ways, as simultaneously victim and aggressor. 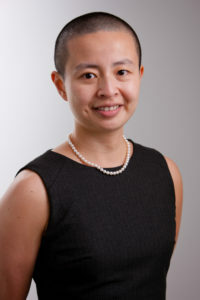 Cynthia Wu is an associate professor of American studies in the Department of Transnational Studies at the University at Buffalo (SUNY).